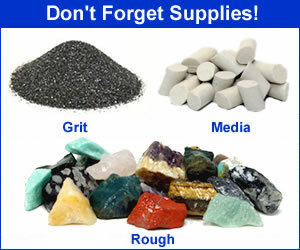 We sell replacement motors, feet, foam pads and bowls. To purchase a complete machine or get more information, visit our Ultra-Vibe Mini Bowl vibratory tumbler page. 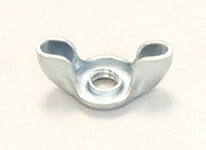 This wing nut is used for holding the barrel and the barrel lid tight. 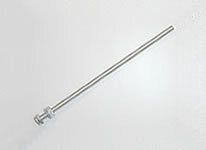 Two wing nuts are needed to operate the tumbler. This washer is used for holding the bowl and the lid. 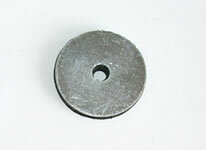 Two washers are needed to operate the tumbler. Washer has a soft rubber glued to it to protect the bowl and lid. A replacement foam pad that sticks to the bottom of the bowl's lid. A replacement foam pad that sticks to the metal base plate which the bowl sits on. 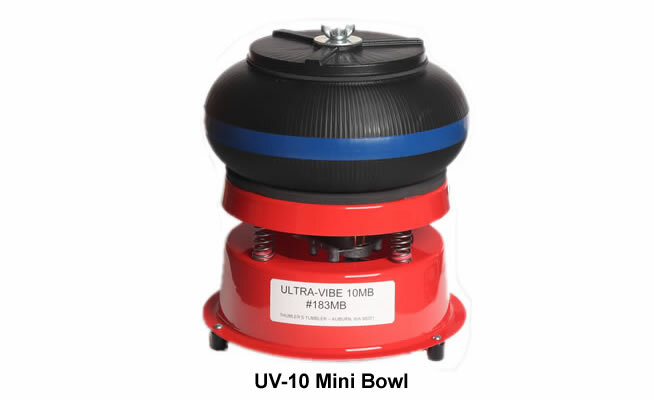 This is the 4-pound capacity bowl for Thumler's UV Mini Bowl vibratory rock tumbler. It comes with the bowl, lid and lid pad. Washers and wing nuts sold separately. Not recommended for use on Thumler's UV-10 Industrial. This is a replacement post for Thumler's UV Mini Bowl vibratory tumbler. It comes with both the locknut that goes under the plate and the regular nut for above the plate. This is the counter weighted motor that is used on Thumler's UV Mini Bowl tumbler. Thermally protected to shut off under too much of a load so it doesn't overheat.